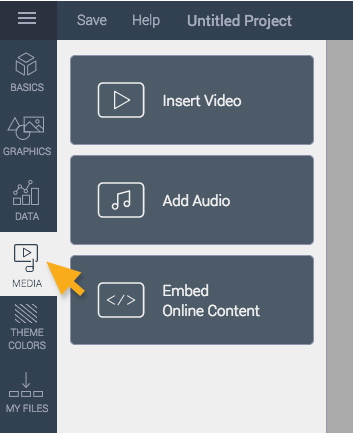 Aside from inserting and customizing audio in your Visme presentations and infographics, you can also upload audio of your choice from your local folder and insert it to your presentation or infographic to make it lively. The uploaded audio will be stored in My Library tab inside the Add Audio option which you can then use for later purposes, or anytime you want. Sit back and relax because this is gonna be easy. The first thing you will do to upload an audio is to click on Media from the left panel. You then click Add Audio option. Select Upload above Free Library. A pop-up window will appear which will tell you to insert an audio file from your computer. 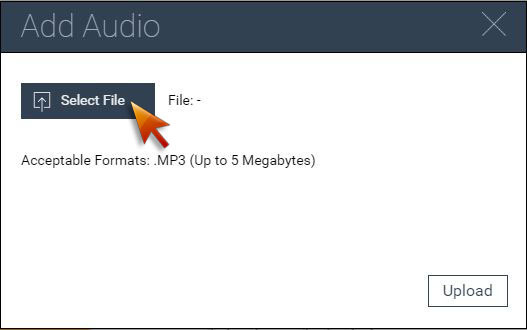 Click on Select File and browse through your computer for an audio you want to upload. 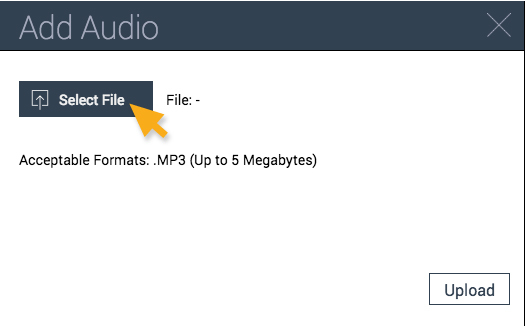 This feature only limits to one audio at a time, so if you want to upload many audio files, you can upload it one at a time. Once you have selected your audio, click Open for the file to be ready for upload. You’re almost there! For the last step, click Upload. 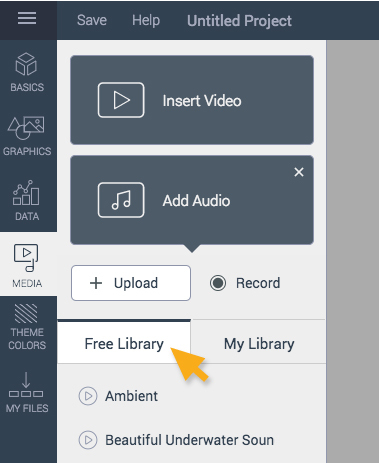 Once the upload completed, click My Library in the Add Audio option of the Media from the left panel tool. You will notice that the uploaded file will automatically be attached to your current slide. 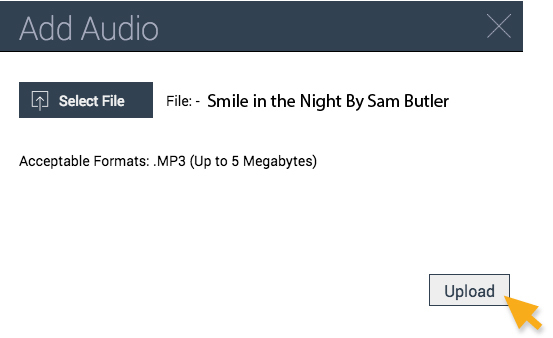 Visme supports MP3 files up to 5 megabytes for upload. If you have larger files, make sure to size down to 5MB or less before the upload. You can also record audio in Visme. Learn more about Audio Recording. 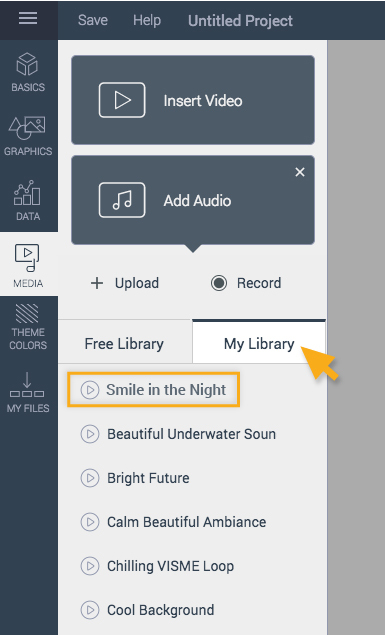 After file upload you can customize your audio settings.